When I tried the NARS Sheer Glow foundation a year ago, I knew it would fast become my holy grail foundation. And, now I rarely use any other foundation! If you follow my makeup posts on Instagram (find me here!) 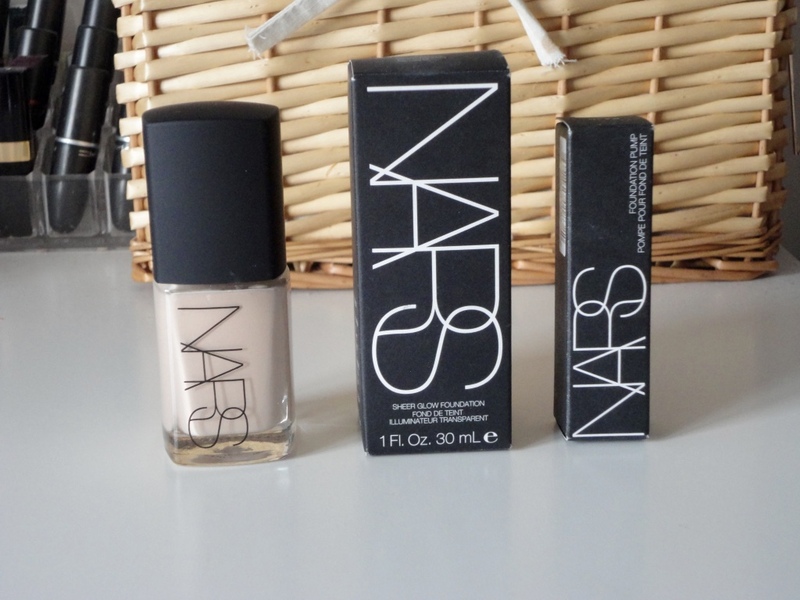 you'll know most of my Makeup of the Day pictures use NARS Sheer Glow. I have the shade Mont Blanc for my natural pale skin tone, and Fiji for when I'm more tanned up. I have been running out of my Mont Blanc shade for a while and thought it was finally time to repurchase. I ummed and ahh-d about trying out a different high end foundation, but I just think it's a lot of money to waste if I found I didn't like it! So, I found myself in Selfridges repurchasing my beloved Sheer Glow. You can find my original review of Sheer Glow from back in May here, as pretty much everything I said then still stands. It gives a lovely flawless medium coverage finish, that is a satin finish (not too glowy/dewy and not too matte), which is perfect for me. I have fairly normal skin and it works great for that, and I hear it's good for drier skins too! Even if I don't set it, it has fantastic longevity and I love it for nights out as it photographs beautifully. I usually apply it with my Zoeva Buffer Brush, but it also works well with both my hands or a Beauty Blender. My only gripe with it, is that it doesn't come with a pump, so I did find myself wasting a bit of product when I poured too much out. So this time, I picked up the pump (I think it's around £3 to buy and is obviously re-usable), and I'm enjoying that so much more as I can control how much comes out much easier! Let me know what your favourite high end foundations are below, or if you've tried the NARS Sheer Glow too!